I know you heard about the link between talc and ovarian cancer after the huge company, Johnson & Johnson was sued for $72 million, right? 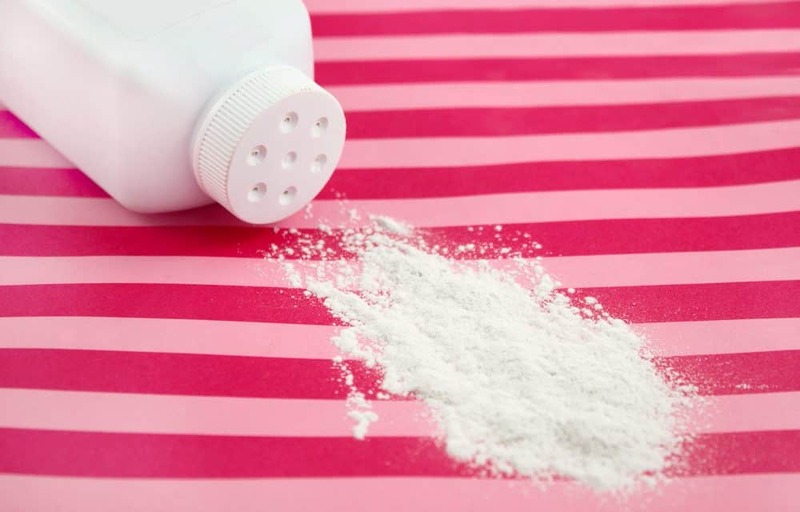 Just in time, we came up with a long list of the best talc free powders that are safe to use from head to toe. Baby powders and body powders without talc should be on your list. 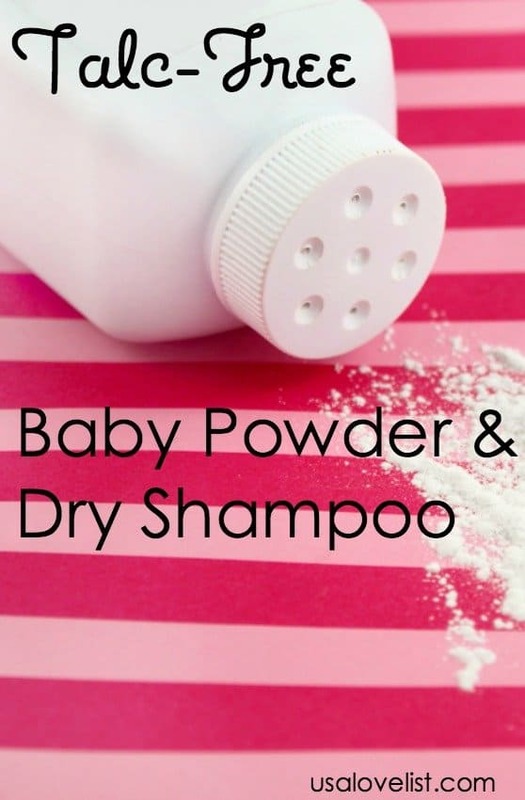 And everyone's new favorite, dry shampoo should be talc free too. 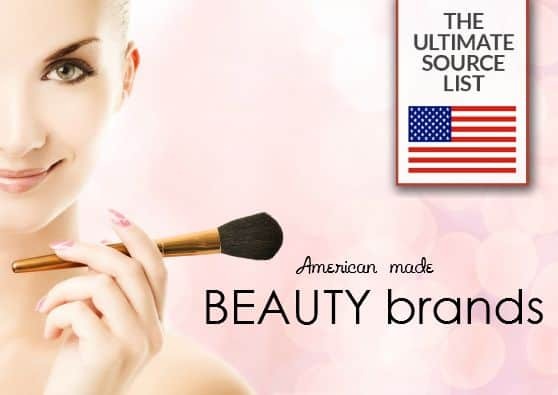 We have an extensive list of American made options for you. Nature's Baby Organics Silky Dusting Powder is safe and gentle enough for all infants, even newborns. 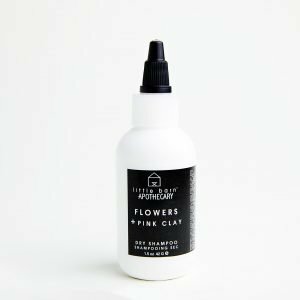 It is made out of nothing but USDA certified organic ingredients, including tapioca starch, and organic extracts, including Matricaria flower extract, Echinacea Angustifolia extract, and goldenseal extract to further soothe and calm irritated skin. Simply dust it over baby’s bottom to absorb wetness and relieve chafing. Babytime! Silky Powder soaks up extra moisture while supporting the skin's natural probiotic ecosystem, which makes it great for babies or to use down there. The powder is enriched with sweet wild rose and probiotics for a soft touch and subtle fragrant smell. It's 95% organic, fragrance-free, gluten-free, and talc free body powder. The powder is made with organic tapioca starch, organic corn starch, organic marshmallow root extract, organic aloe leaf extract, organic calendula flower extract, organic rosehip fruit oil, organic rose flower oil, organic rosemary leaf oil, lactobacillus ferment lysate filtrate, allantoin, and kaolin clay. Believe Organics Talc-Free Powder freshens, deodorizes, and absorbs moisture safely. This talc-free loose powder handmade in small batches with organic rosemary & lavender essential oils. 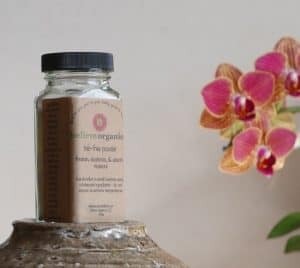 The ingredients including, certified organic cornstarch, certified organic arrowroot, certified organic tapioca, sweet rice, kaolin clay, saleratus, certified organic lavender, certified organic rosemary, and other certified organic essential oils. I love using this powder to keep drying during heavy workouts or during the summer to ward off chafing. When you sweat, light lavender and rosemary scents cover up body odor. 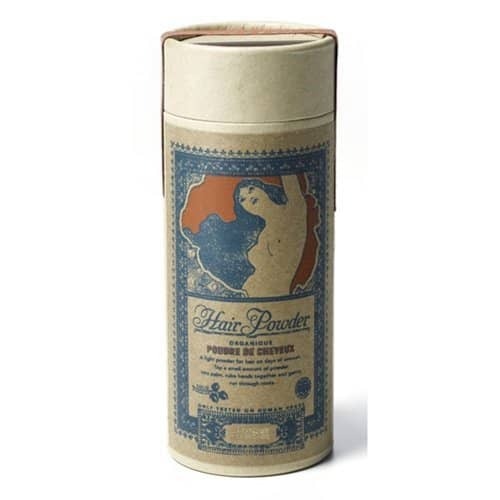 Go Primal PoPo Powder (Body Powder) is an herbal body powder created for odor protection “down under”. Popo powder is made without talc, preservatives or toxic chemicals. This powder keeps you dry and smelling fresh; I love all the scents offered by Go Primal! 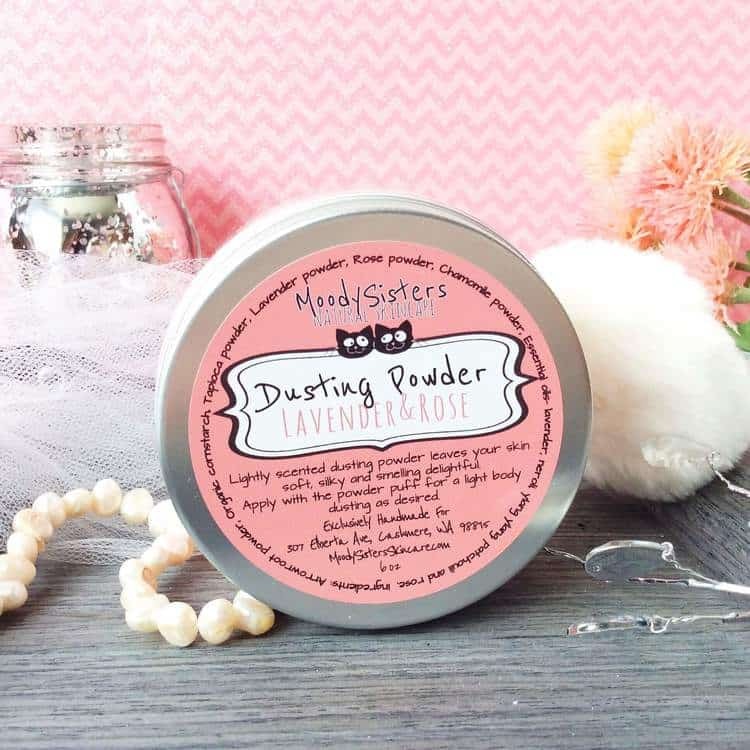 Moody Sisters Lavender & Rose Body Dusting Powder It's made with arrowroot powder, organic non-GMO cornstarch, tapioca powder, lavender, rose, and chamomile powder, and lavender, neroli, ylang-ylang, patchouli, and rose essential oils. This is a light powder, and great for freshening up in between showers. I was recently turned on to dry shampoo as a way to keep my hair from looking oily between shower shampoos. My hair tends to be oily and is dark brown. All of these dry shampoos are great, not only because they are talc-free dry shampoos made in the USA, but also because they leave your hair smelling and looking great. There's no grayish hair look from these powders. 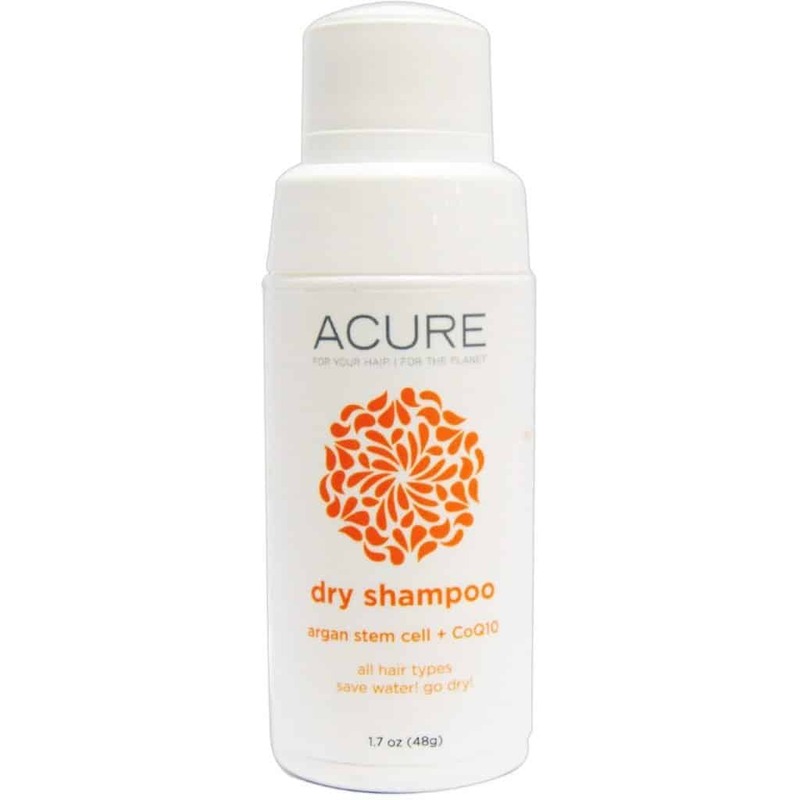 ACURE Dry Shampoo is made from organic and non-GMO corn starch, French white clay (kaolin), oat flour, slippery elm bark flour, argan stem cells, CoQ10, and lavender and chamomile essential oils. This dry shampoo is great to use between showers to dull that oily hair look, or to use after blow drying your hair to texturize when styling. 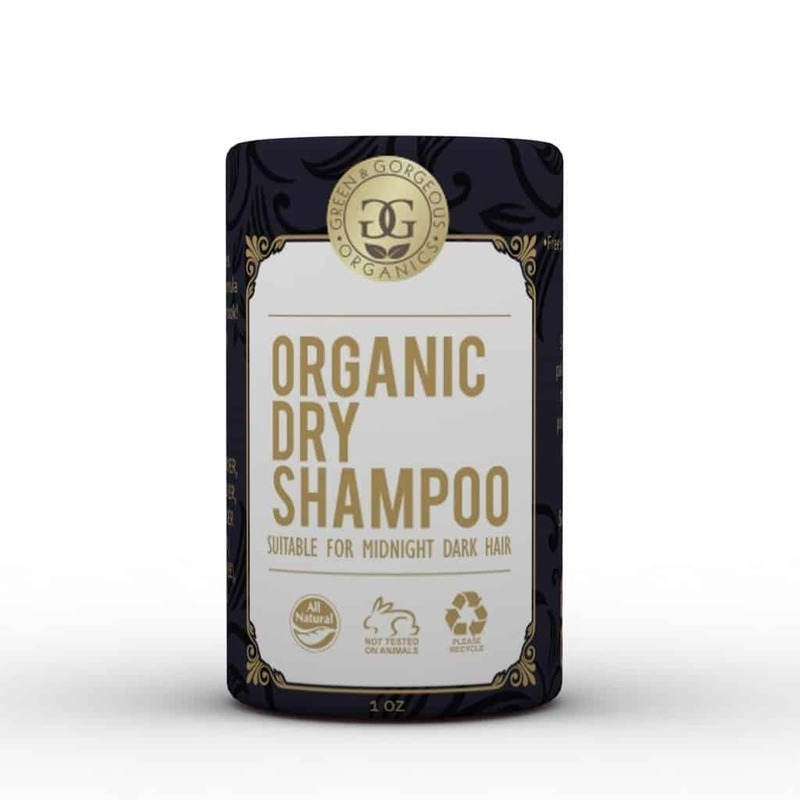 Green & Gorgeous Organics Dry Shampoo for Dark Brown and Oily Hair is made with organic arrowroot powder, brown rice powder, horsetail (shavegrass) powder, all natural clay, aluminum free baking soda and organic essential oils. 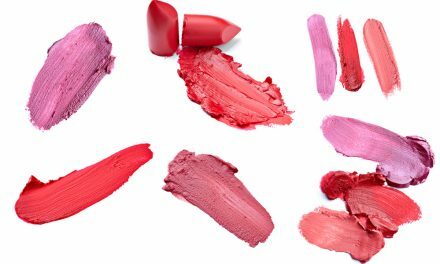 It's non-GMO, gluten-free, talc-free, vegan and free of parabens, sulfates, and perfumes. The brand also offers options for all hair types, including oily hair, and is offered in grapefruit and sweet orange and lavender and bergamot. LuLu Organics Dry Shampoo in Lavender + Clary Sage offers the clean and intoxicating aroma of lavender perfectly partnered with an invigorating clary sage. It is organic, paraben free and talc free. comes and made safe ingredients include organic corn starch, white clay, baking soda, organic rice powder, organic horsetail powder, and organic essential oils. It comes in three other scents including, patchouli & amber, vetiver & black pepper, and jasmine. 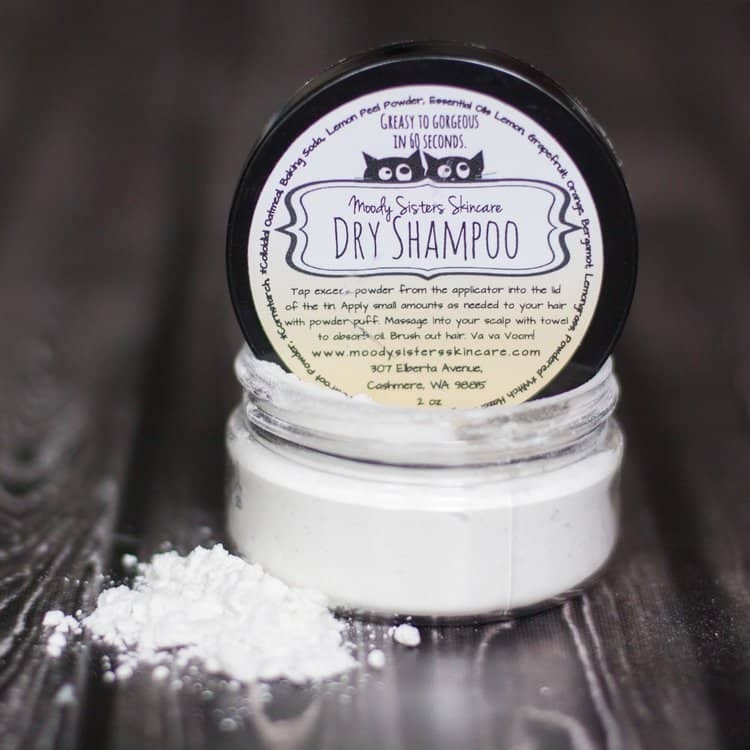 Moody Sisters Dry Shampoo is one I love and this is the brand that turned me on to using dry shampoo. 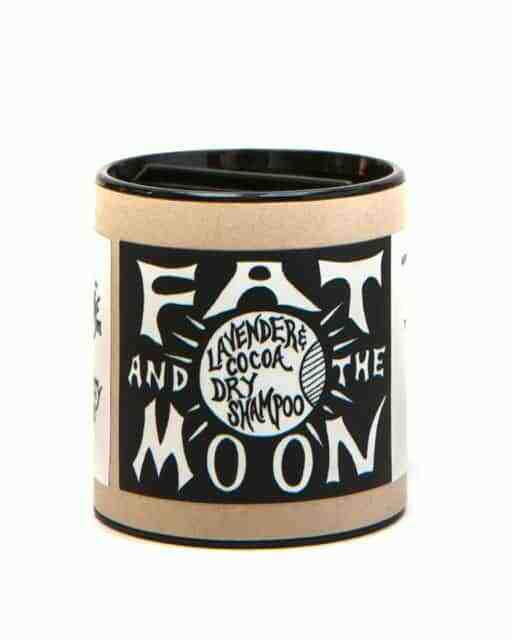 It’s perfect for the times when your hair doesn’t quite need to be washed again but could look a little less greasy. The puff applicator makes it so easy to apply and blend into your scalp without any mess. It’s handmade with organic arrowroot powder, non-GMO cornstarch, lemon peel powder, organic witch hazel, and aluminum free baking soda. It’s also vegan and cruelty-free. yarok Feed Your Style Organic Dry Shampoo is 100% vegan, gluten-free, alcohol-free, paraben free, sulfate free, cruelty-free, and talc-free. I've written about how much I love yarok products in my non-toxic hair care guide, and Yarok's dry shampoo is no exception. The organic starch and arrowroot tapioca powder absorb excess oils in the hair, while organic aloe vera leaf powder and french green clay powder detoxify and add volume to your hair. These products all look good and I especially like that they are talcum free. 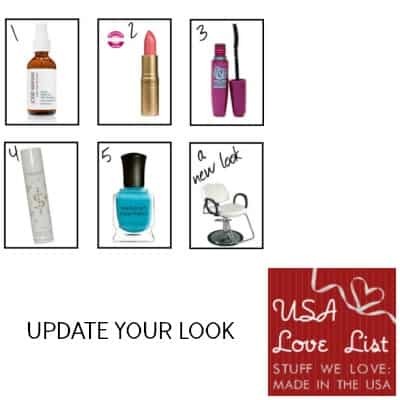 I would like to try the dry shampoo, for starters! I usually buy talc-free powder, but recently, due to a fungal patch on my skin, I had to start looking for one that’s also cornstarch-free. (Cornstarch makes it worse.) That combo can be hard to find! I often use cornstarch, but there is nothing all that wonderful it. I love the Believe Organics Talc Free Powder, and I’d like to try it!